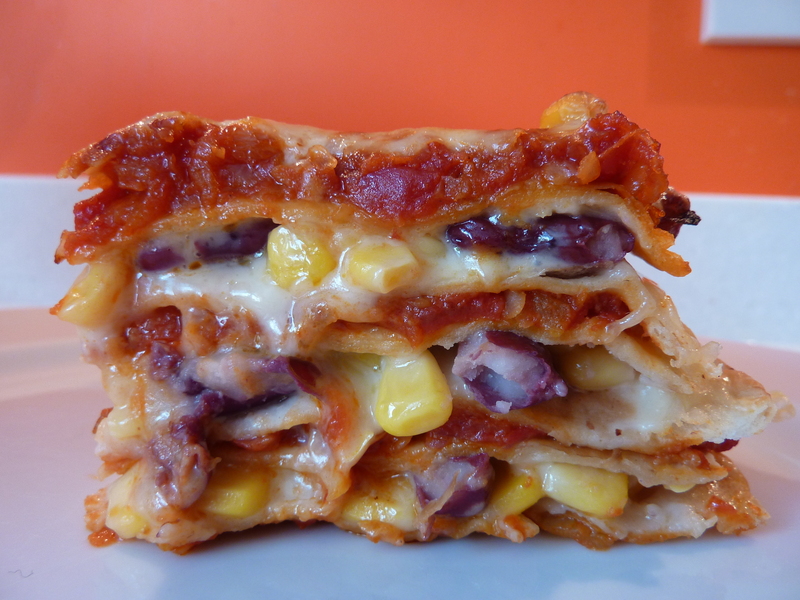 I’ve been wanting to make a mexican-style lasagne for a while now, and after googling for recipes I decided to do something along the lines of this recipe but with our beloved beany fajhita sauce. It was easy to make, although it took about 1.5hrs from start to finish. It was absolutely delicious & everyone loved it! We will definately be making it again, although I will either be increasing the quantities or perhaps serving with potato wedges as DH & I would have liked more! Add the tomatoes & cook, uncovered for 15mins until thickWhile that cooks…. Top with another tortilla and repeat the layering. Vegetarian. One husband, Two cats, Three kids. Let me know how you get on with freezing/reheating, we love a bit of batch cooking here!